Claim denials in your practice can put a lot of stress on your biller and your reimbursements. If you aren't keeping up with rejections and denials, your practice could be missing out on a lot of cash. 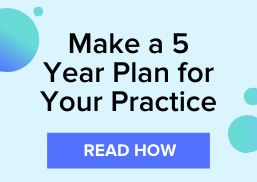 And, if you're using a practice management system or clearinghouse for your billing needs, you can't rely on it to do absolutely everything for you. There are still some things you need to know to make your system work for you. Today we want to take a look at 4 common claim filing mistakes that can cause denials for many practices, and how you can go about handling and preventing these types of denials in the future. What: Duplicates are probably going to be the most common reason for denials in many practices. Duplicates are two or more submitted claims that include the same information about patient demographics, provider, date of service, and billing codes. They happen most commonly when a biller finds an unpaid claim in their system and assumes that it hasn't been processed. This causes them to file the claim again without looking up the original submission. How to Handle It: When you see an unpaid claim, instead of rushing to process a new claim, investigate why the claim is unpaid in the first place. 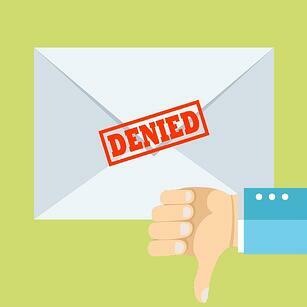 Was it rejected by the clearinghouse, or was it denied? Check the EOB or ERA to take the proper steps towards fixing the claim. If you're using a clearinghouse you should be able to correct the claim electronically using the resubmission feature that most clearinghouses provide. What: Payments can get bundled into another procedure causing you not to receive payment for the services you performed. Visits that are associated with surgical procedures are prone to this type of denial. One common example happens when you file a claim for cataract surgery or punctal plug surgery. These procedures are typically done by an ophthalmologist, while the optometrist provides post-op care. If not stated by the office performing the surgery, both payments could be bundled into one payment to the ophthalmologist. How to Handle It: If needed, you could consider correcting the claim using a CCI (correct coding initiative). The modifier will show that there was a separate service to bypass the rule and make sure that you're paid for your part of the services. What: An important note to make with your insurance payers is the claim submission deadline. Each payer will have a firm deadline for accepting and processing claims, and the deadlines can vary between 90 days to one year from providing the service. If you miss the deadline your claim will get denied. How to Handle It: It is important to keep an eye out for rejected claims on a regular basis so that you can follow up and fix the claims before any deadlines. While you should be on a consistent schedule of submitting claims in a timely manner, knowing your filing deadlines will help you prioritize claims that should be worked on first when you get backed up. What: A claim could be denied because the service you billed is a service not deemed as a "medical necessity" by the payer. It could be because you didn't check for eligibility and didn't follow the coverage limit, or the error could be on the claim itself. How to Handle It: Insurance might not cover the frequency of services, even though follow-up appointments are needed. This one can be one of the more tricky denials to deal with, but our best advice is to use your own experience and knowledge to do the right thing. Don't let payers determine what's important for each unique patient. If you think a patient needs to be seen more than what's covered you should get an Advance Beneficiary Notice (ABN), and explain why the appointment is necessary before billing. We have an entire eBook that talks about more common reasons for claim denials in eyecare practices.